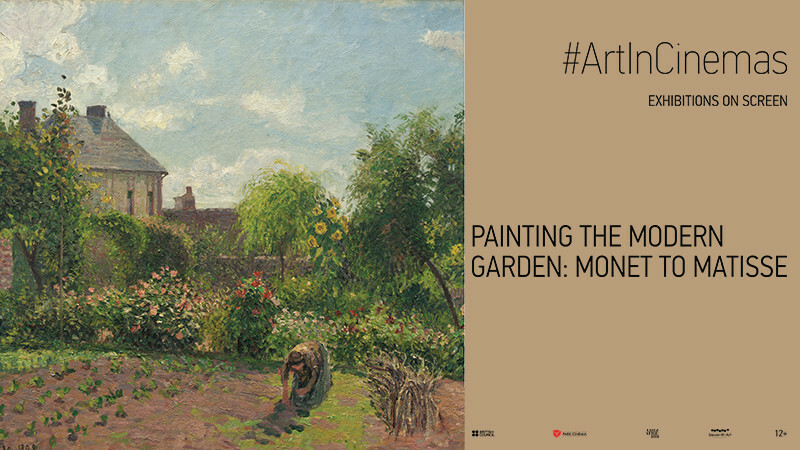 Painting the Modern Garden: Monet to Matisse in Park Cinema Flame Towers buy tickets online. Delivery of tickets for the event Painting the Modern Garden: Monet to Matisse. Claude Monet was an avid horticulturist and arguably the most important painter of gardens in the history of art, but he was not alone. Great artists like Van Gogh, Bonnard, Sorolla, Sargent, Pissarro and Matisse all saw the garden as a powerful subject for their art. These great artists, along with many other famous names, feature in an innovative and extensive exhibition from The Royal Academy, London. From the exhibition walls to the wonder and beauty of artists’ gardens like Giverny and Seebüll, the film takes a magical and widely travelled journey to discover how different contemporaries of Monet built and cultivated modern gardens to explore expressive motifs, abstract colour, decorative design and utopian ideas. Guided by passionate curators, artists and garden enthusiasts, this remarkable collection of Impressionists, Post-Impressionists, and avant-garde artists of the early twentieth century will reveal the rise of the modern garden in popular culture and the public’s enduring fascination with gardens today. Long considered spaces for expressing colour, light and atmosphere, the garden has occupied the creative minds of some of the worlds greatest artists. As Monet said, ‘Apart from painting and gardening, I’m no good at anything’. For lovers of art or lovers of gardens, this is an ideal film.